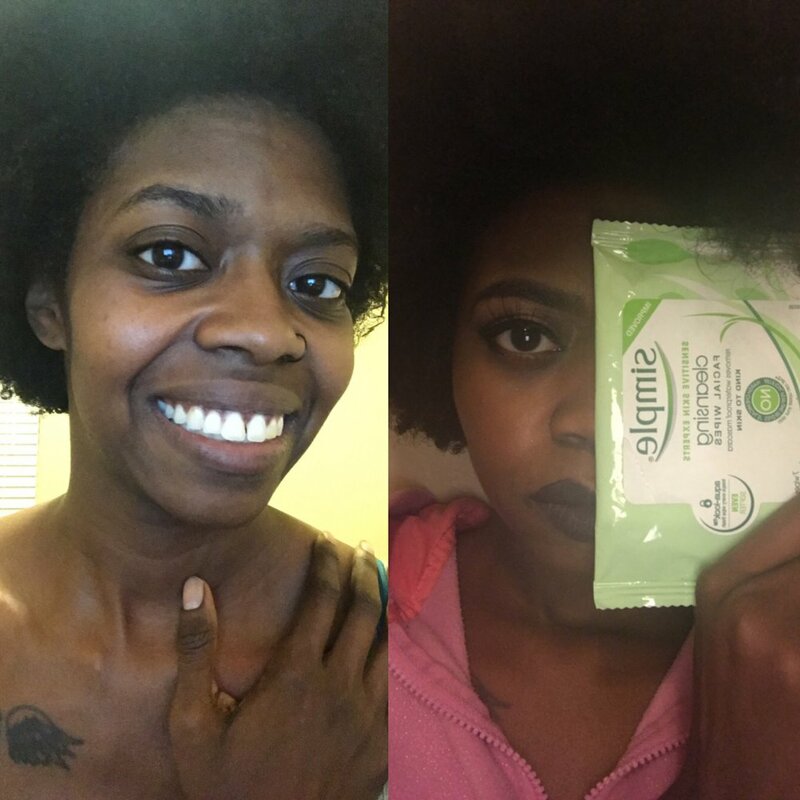 Beautifully Bombshell — Simple® Skincare Micellar Cleansing Water & Cleansing Facial Wipes | @ First Blush Product Review Disclaimer: Posts May Contain Affiliate Links and Means I Will Earn Compensation for Your Clicks And/Or If You Make Purchases Via the Link. This one is a no brainer for use. The facial wipes you take out the packet and wipe your face, the cleansing water is applied to a cotton ball or pad and wiped on your face. My fave part...removed the makeup and didn't leave my face greasy afterward. I didn't see any reason to like the cleansing wipes vs the water other than the wipes are more convenient to use and travel with. My face felt very refreshed. Clean. Breezy. I would use them all the time and I think that the wipes could benefit from maybe being half the size because I never used the entire sheet and felt it was a waste. Do you use Simple Cleansing Wipes? What do you love about them? Tell me in the comments!